Baldwin S(ydney) Harvey (1873-1945) was a banker who took over from his father Alfred Spalding Harvey at the bank Glyn, Mills, Currie and co. in 1905, as you can see here. He edited a collection of his father’s financial and economic articles. 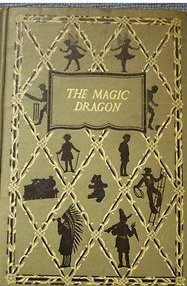 But he also seems to have published, some time in the 1920s, a children’s book (not in the BL) called The Magic Dragon (although I don’t think he had any children).